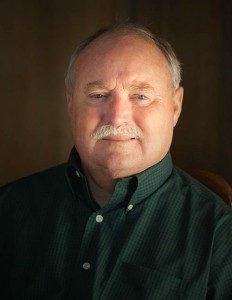 Business Printer Dealership Stockton | About Boss Business Systems, Inc.
Hello, my name is Roger Fisher, and I am the President here at BOSS Business Systems, Inc. We started in 1986 on Lorraine Avenue in North Stockton and have now been in business in the Central Valley for 30 years. 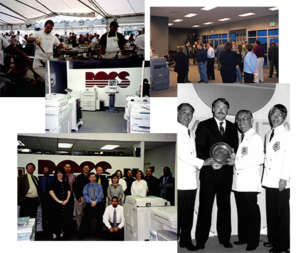 Prior to moving to Stockton I was a partner in Silver State Business Products, a Minolta dealer, in Reno, NV and enjoyed the industry. 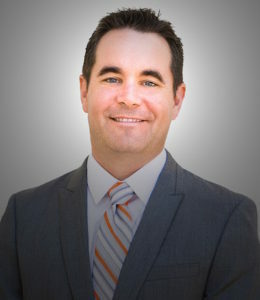 With the opportunity presented by Minolta in 1986 to open my own dealership, I moved my family to Stockton where w e raised two children, both of whom graduated from Saint Mary’s High School, and are now raising families of their own. My wife and I are now retired and have turned over the business to my son, Russell Fisher, who continues to grow and expand BOSS. My daughter-in-law, Monet, heads up our Sales Division at BOSS and long-time family friend, Jennifer Difuntorum, is our Chief Financial Officer. So we are a family run business through and through. 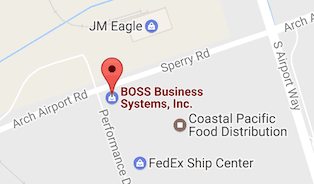 The thing we pride ourselves in at BOSS is that we are the only locally-owned and family-operated copier and business equipment dealership in the area. Since we have a single location and rely on just the 5 counties we service for our entire business revenue, we pay extra attention to providing an exemplary customer experience and professional service in order to maintain and grow our customer base . This is why when you call our company you will get a live person answering the phone – not an automated system – and a personal experience with real staff who care enough to talk to our customers when they have problems and even when they don’t. I welcome you to BOSS and hope that if you are not already a customer, you will give us an opportunity to fulfill your equipment needs. We offer, among others, the industry’s top-rated copier brand, Konica Minolta, and service and support that only a locally-owned company can provide.